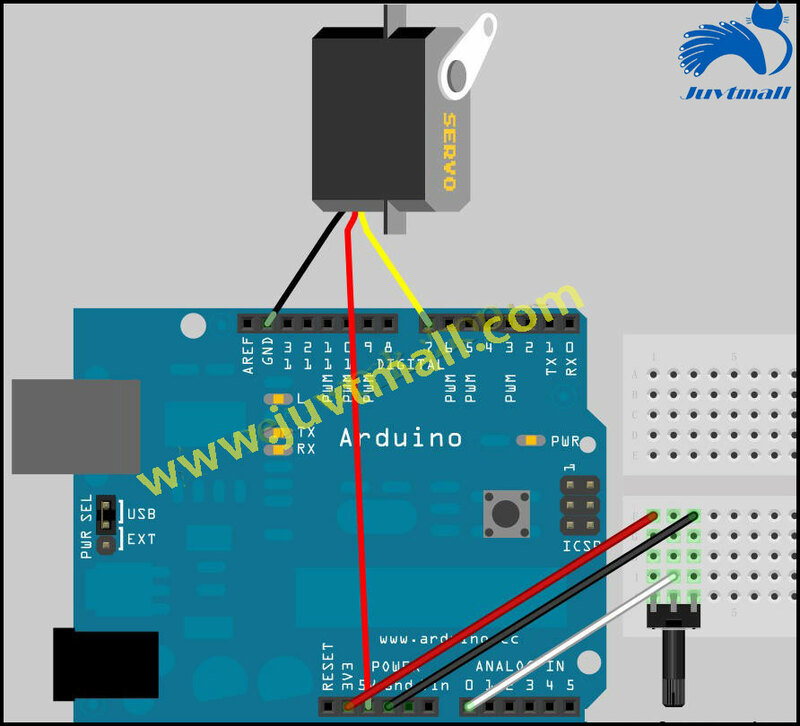 Here use Arduino duemilanove to control the rotation of steering engine through a potentiometer. It should be noted here, do not use the computer usb to supply power, because if the current demand is greater than 500ma, the usb may be burned, it is recommended to use the external power supply. The left and right pins of the potentiometer are connected with 3.3V and GND respectively, the middle pin is connected with the analog port 0. 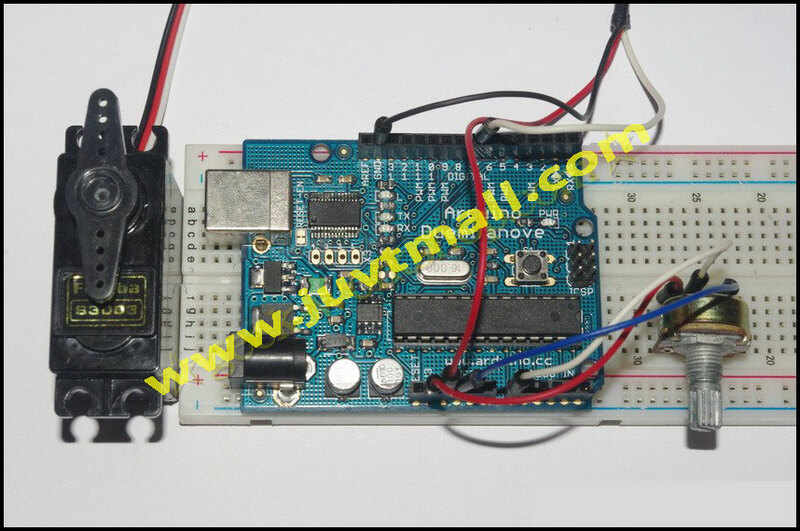 Steering engine is connected with 5V and GND, the signal port is connected to the digital port 7. Download the following code into the arduino, and Then connect the wiring, and use the battery when running. 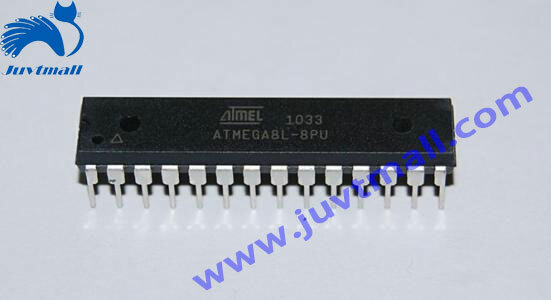 Atmega8 is the cheapest of the arduino's officially supported chips, so we'll take it to explain how to make the arduino minimum system on the breadboard. Prepare the material 1. 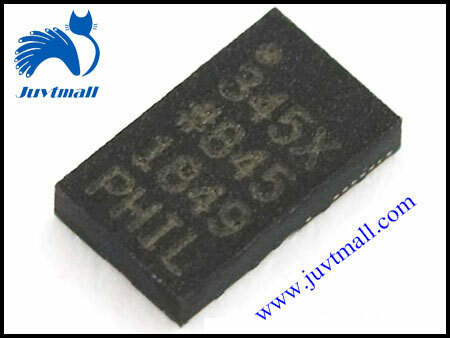 One Atmega8 DIP packaging chip 2.One 16MHz Crystal Oscillator 3. Two 22P capacitors One key, One breadboard and some connected wires. 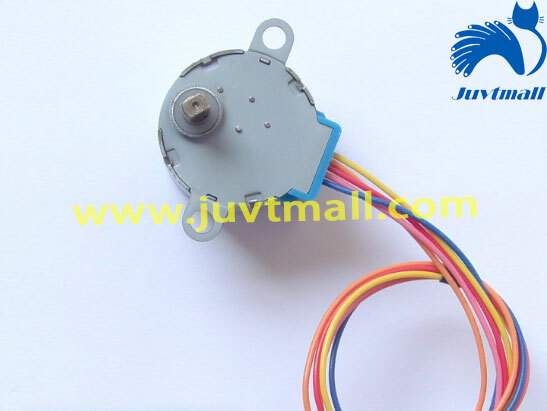 Thestepper motor used in the industry is different from this experiment, the following schematic two different types of industrial stepper motor. Today we are going to study another sensor: acceleration sensor. What is the acceleration sensor? The acceleration sensor is used to measure the force produced during the acceleration.The most basic is acceleration of gravity, which is 1g. Where is the acceleration sensor normally used? By measuring the acceleration caused by gravity, you can calculate the tilt Angle of the device relative to the horizontal plane.By analyzing the dynamic acceleration, you can get how does the device move.In the self-balancing vehicle, the acceleration sensor and gyroscope are used to correct the Kalman filter and the attitude correction.